As a new home owner, it can be quite a task to choose the right elements to keep your home functioning properly. 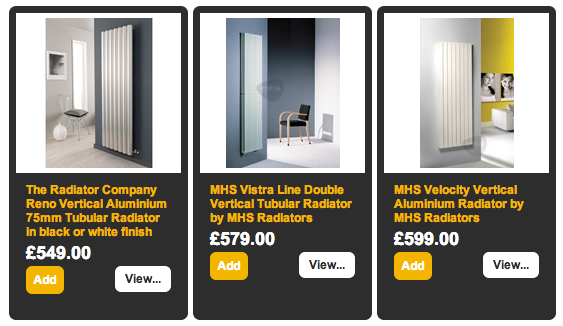 One important consideration is getting the right radiator that fits your needs. For many years now, hot water and steam heating systems have been used in homes; some having been installed many years ago. Even today these built-to-last radiators are still functioning perfectly. The heat that these radiators provide is safe, effective and can often save money when compared to electric heaters. And to add, aluminium and cast iron radiators are known for how they look and the appearance and charm that they can bring into a home. Follow Intelligent Climate's board Beautiful Radiators on Pinterest. Aluminium radiators are fairly new to the market. They are durable and tough as well as lightweight, and can be cheaper than other radiators on the market. As they are typically lighter in weight, and can be installed in places that other radiators cannot be. The designs that are available for aluminium radiators can vary greatly, allowing them to fit easily into classic and modern settings and anywhere in between. Aluminium radiators provide a quick heating response allowing for improved control over heating. Aluminium is a highly efficient heat emitter, making these radiators more energy efficient than their cast Iron counterparts. Aluminium radiators have a lower water content and are very responsive to any changes in thermostat. This in turn gives you excellent cost efficiency and lower bills. Aluminium radiators have a greater range of style, colours and finishes available. Cast Iron radiators date all the way back to the 1800s and because their design is so proficient, it is very common for them to work well, even today. Cast iron radiators are extremely heavy and can not be mounted onto a wall like aluminium radiators unless you use special equipment and technique, and most available today include either reproductions of older classic designs or refurbished originals. Cast iron radiators have a very strong look and suit a more traditional or vintage style of interior design. The only difference is the craftsmanship of the newer models incorporate a much more functional aesthetic. Cast iron was among the very first materials used during the Victorian era. It takes longer to heat up but it stays hotter for longer. Cast iron radiators are popular among the people who want a Victorian feel to their home. Cast Iron is incredibly durable and will last a lifetime. Getting a new radiator will ensure that it functions well for many years to come and removes the need for maintenance. Modern radiators vary a lot in where they can be placed in your home. A modern radiator has the advantage of design improvements and better efficiency. It is difficult to argue that cast iron radiators are as versatile as the contemporary aluminium radiators, but cast iron radiator feature a real sense of character. Each radiator, both cast iron and aluminium have a wealth of features including, beautiful aesthetics, functionality and economy means. 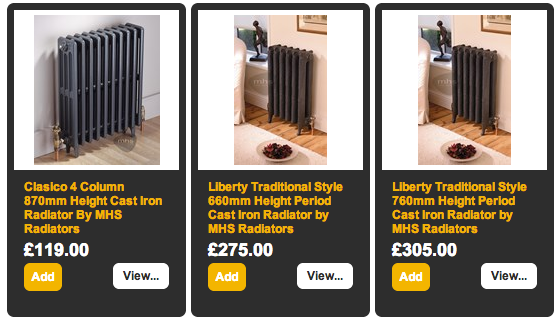 If you require any further information on Cast Iron or Aluminium radiators, please contact us today at Radiators UK.